Hearing Aid Remote Controls allow an individual to control hearing aids that have wireless capabilities. Some remotes allow the connection of other devices to the users hearing aids. In general there are two types of hearing aid remote controls, wireless and Bluetooth. Below we offer information including prices for Bluetooth and wireless remote controls for Signia Siemens, Rexton and Phonak. Wireless Remote Controls – The wireless remote control is a handheld device that allows an individual to control the functionality of their hearing aids, but does not allow the user to control or connect any other devices. Some of these devices use an ultrahigh frequency audio signal to communicate with the hearing aids. Changeable functions are usually volume, programs and tonality. There are also Apps available for Android and Apple devices that fall within the wireless remote definition. There are no universal remote controls, they are brand specific and not all hearing aids within a brand can be controlled with a remote control. Bluetooth Remote Controls – A Bluetooth remote control provides the same functionality as a wireless remote control plus it allows the connection and management of other Bluetooth devices, such as television, cell phone, landline phone, music devices, automobile interfaces and many other devices. There is no need to put a cell phone up to your ear or to wear headphones or earbuds. The user can hear the Bluetooth device in stereo through their hearing aids. Some Bluetooth remotes can be clipped to a pocket or lapel. Others can be worn around the neck or underneath a shirt or blouse. As with standard wireless remote controls there are no Bluetooth universal remote controls. They are brand specific. The StreamLine Mic for use with Nx hearing aids, provides full hands-free audio streaming of phone calls and music with any Bluetooth smart phone. It also works as a remote microphone. StreamLine Mic transforms Signia Siemens Nx hearing aids into a hands-free mobile headset and wireless headphones. Now wearers can stream sound from their Bluetooth® compatible PCs, tablets, and smartphones and enjoy premium stereo quality. While streaming sound from the users TV into their hearing aids via the StreamLine TV accessory, wearers can instantly take calls from the comfort of their sofa instead of having to get up and turn off their TV. Wearers can use their StreamLine Mic to stream a speaker's voice directly into their hearing aids from up to 20 meters, approximately 65 feet away. Price $160.00 ea. at the time of purchase of two Signia Siemens hearing aids. Without the purchase of two hearing aids $190.00 ea. Is for televisions without Bluetooth capability. This accessory transmitter is for Signia Siemens Nx model hearing aids and provides TV audio in Dolby Digital stereo. It streams TV audio directly into the Nx hearing aids and turns them into wireless headphones. The user can adjust volume separately from the TV with the myControl App. Price $149.00 ea. at the time of purchase of two Signia Siemens hearing aids. Without the purchase of hearing aids $169.00 ea. Signia Siemens easyTek for Primax hearing aids wirelessly connects your hearing aids to many different Bluetooth enabled devices. It can be worn on top of your clothing or discreetly hidden underneath, it is lightweight and stylish. Wearing easyTek around your neck, you stay connected and in control by streaming audio for a phone call, TV show or music directly into your hearing aids. 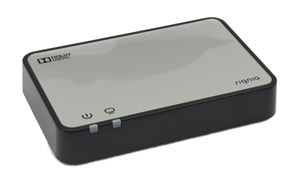 easyTek does more, acting as a remote control, allowing you to change volume and program settings. And when combined with Siemens free easyTek App for Android and iOS smartphones, you can also use your phone to discreetly adjust programs and volume, listen at a volume comfortable for you without disturbing others, or zoom in on the person next to you at a restaurant. It simply transforms binaural hearing aids into a high-quality stereo headset and no one needs to know you are wearing hearing instruments. You don't have to learn how to use a complicated multi-button remote. The easyTek has a multifunction button that lets you turn easyTek on and off, answer a phone call, change listening programs, or easily switch audio sources like music players, TVs and more all with just one button. The straightforward volume controls allow you to quickly change the volume of your hearing aids. The easy-to-read LED lights give you important information, such as when it's time to recharge the battery. VoiceLink is a voice transmitter that connects to a plug-in microphone and transmits via easyTek using Bluetooth wireless technology. The VoiceLink microhone helps the user hear a speaker in noisy environments or difficult listing environments. Price $234.00 ea. at the time of purchase of two Signia Siemens hearing aids. Without the purchase of two hearing aids $254.00 ea. 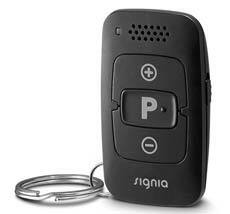 The is an accessory for Primax Signia Siemens remote controls with audio streaming capability. 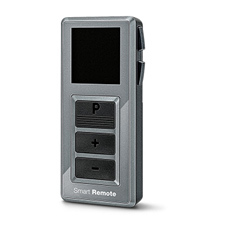 The transmitter connects TV, stereo, or MP3 player as well as many other electronic devices without Bluetooth® functionality to the remote control for your hearing instruments. Using the transmitter you will wirelessly stream sounds directly into the hearing instruments. Price $99.00 ea. at the time of purchase of two Signia Siemens hearing aids. Without the purchase of hearing aids $120.00 ea. The miniPocket is small enough to carry on a keyring, it is the ideal solution for anyone who wants discrete, convenient hearing aid control without the need for a large remote control or smartphone. The miniPocket is approximately 2 5/16" high by 1 3/8" wide. The miniPocket is for use with the Signia Siemens Nx and Primax models. Price $99.00 ea. at the time of purchase of two Signia Siemens hearing aids. Without the purchase of hearing aids $119.00 ea. The myControl App is for use with Signia Siemens Nx Hearing Aids it acts as remote control for adjustments and personalization. The industry's most advanced remote control app. It is the only app to offer 360-degree microphone control. Users can adjust program, volume, system sounds, power on delay, low battery signal interval, and flight mode. With Apple iOS the industry-leading app also relays smartphone motion sensor data to deliver the best possible hearing while the user is moving. The myControl App helps wearers look after their hearing health by displaying noise exposure and voice activity, which are health indicators. In addition, the unique high-frequency Signia TeleLink acoustic connectivity system allows users to benefit from the myControl App when other wireless systems cannot be used, for example during aircraft flight mode. The myControl App is Free to download on the Google Play Store and Apple App Store. 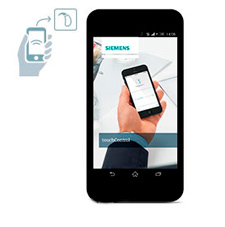 With your Signia Siemens Primax hearing aids you can turn your smartphone into a discreet remote control for your Siemens hearing aids and enjoy a high level of handling comfort right at your fingertips without an interface device. Compatible with Android and Apple iOS, the touchControl App lets you discreetly and conveniently change your hearing programs, adjust the volume, and adjust the bass and treble. No extra hardware needed just a smartphone. It communicates with your Siemens Primax hearing aids via an ultrahigh frequency audio signal and has a range of about 3 feet. The best part is the touchControl App is Free to download on the Google Play Store and Apple App Store. For use with Primax hearing aids easyPocket is user-friendly, ergonomic remote control with a modern design and built-in display can be customized to provide users with an easy-to-use, convenient remote control for their hearing aids. Allows volume changes, program changes and has side buttons to control the tinnitus therapy signal or treble/bass adjustments. Price $180.00 ea. at the time of purchase of Signia Siemens hearing aids. Without the purchase of hearing aids $200.00 ea. 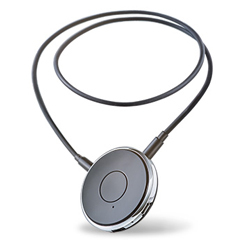 Rexton Smart Connect – The neck loop ensures the most stable wireless connection to your Rexton hearing aids. Wear the SmartConnect around your neck, either on top or under clothing, for a truly hands-free discreet connection for your phone calls. The incoming call will ring directly into your hearing aids. To answer, simply press the multifunction button and accept the call. The Smart Connect microphone allows the caller at the other end to hear your voice clearly. Your phone can remain in your pocket the entire time or be up to 30 feet away. Price $249.00 ea. Rexton Smart Remote - The Rexton Smart Remote is a small, easy-to-use hearing aid remote control with a display screen that makes it easy for you to control your hearing aids with the touch of a button. You can control volume, programs, and turn your hearing aids on and off, as well as many other customizable functions. You can even set a daily alarm clock to remind yourself of important events with this convenient hearing aid remote. Price $215.00 ea. Rexton Smart Key - A small remote that fits in the palm of the users hand. It can be used to adjust volume and change listening programs. Smart Key works with both wireless and non-wireless hearing aids. Price $149.00 ea. 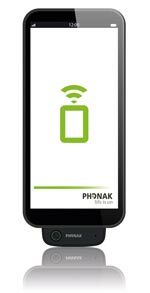 ComPilot II - The Phonak ComPilot II is the all-in-one streaming and remote control accessory for Phonak Venture hearing aids. It can receive speech and music from all Bluetooth enabled audio sources such as, cell phones, MP3 players, TV streamers, tablets, navigation systems and many other devices. Stream audio sounds wirelessly to both hearing aids in stereo sound quality, resulting in better understanding and more enjoyment. The neck loop is available in two different colors and lengths, it also provides for better reception. 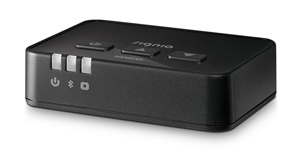 The ComPilot II has the ability to simultaneously support two audio sources plus one TVLink or RemoteMic. More than 8 hours continuous streaming time. Price $299.00 ea. ComPilot Air II - Connects Venture hearing aids to Bluetooth capable devices (cell phones, MP3 players, GPS devices computers, TV and many other devices). It transmits the audio to your venture hearing aids in stereo. The ComPilot Air II is small and it can be clipped to a lapel or placed in a pocket. It can also be used with the Phonak TVLink or the Phonak RemoteMic. Price $319.00 ea. EasyCall II - Connects Venture hearing aids to your Bluetooth enabled cell phone. It provides you with the ability to hear the audio from your cell phone directly in your hearing aids. EasyCall II attaches to the back of your cell phone and then pairs via Bluetooth. After being paired you don't need to lift your cell phone to your ear anymore. Price $249.00 ea. 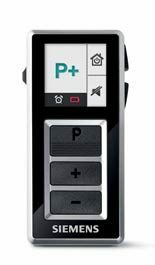 PilotOne II – Is a wireless remote control that works in conjunction with Phonak Venture hearing aids. It is designed for simplicity of use and has four large buttons that are easy to locate and use. The PilotOne II controls volume and can also make hearing aid program selections. Price $249.00 ea.